The Women’s Forum is NYC’s premier organization of women leaders made up of over 500 women across all professional sectors. Launched in 2002, their legacy website no longer accurately represented the organization. It was not responsive, had no mobile support and was unappealing to potential younger members. The main objectives for the Women’s Forum team were to improve their members’ access experience, seamlessly tie in their accounting systems and maintain the integrity of their previous brand to ensure it would appeal to existing and potential members. The Women’s Forum needed to maintain the integrity of their old brand on the new website ensuring that it accurately explained who they are, how they operate and place emphasis on the value they provide. Their legacy system was unsupported, not well documented nor structured, making the migration of 25 years worth of content a complicated task. This content needed to be restructured in a way that would allow the WF team to manage it autonomously. In addition, the implementation of a payment system that routed to different bank accounts based on transaction type and integration with their accounting software were also required. Together with the WF team, Nolte was able to leverage Agile Methodologies to collaboratively manage the product development and transition. Due to the extensive scope of this project, we worked together for approximately 10 months, to develop and execute the design and integrations required for the product. Rita Crotty, the Women’s Forum executive director at the time of the project launch assumed the role of product owner and expert in their processes and membership strategy. Brand direction for the project came from Jim Wagner also on the WF team, in order for Nolte to develop the new concept and create all graphical and brand elements. 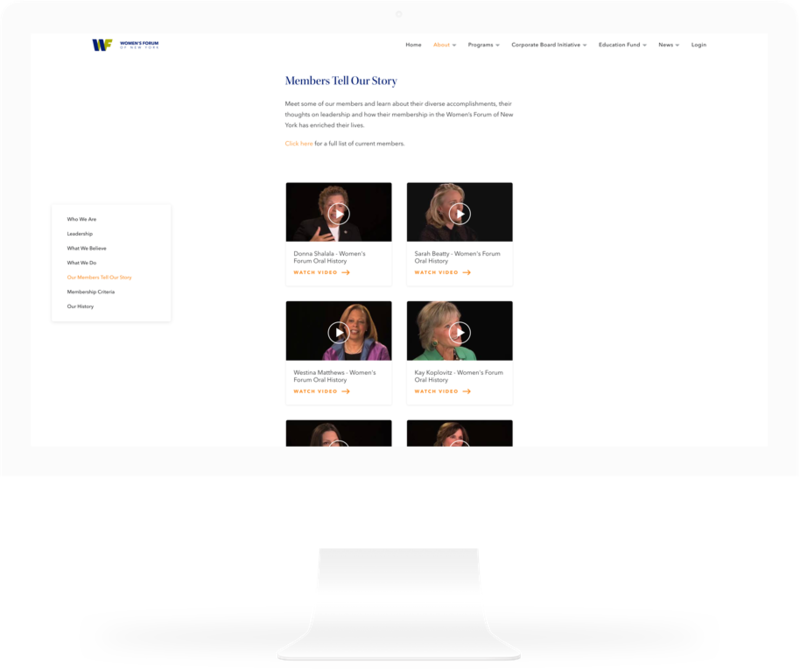 During the process, we migrated 25 years worth of content while optimizing the membership portal for improved user experience and integrated accounting and banking systems for the WF’s administrative team. Alignment and confirmation that the development met stakeholder expectations were done through weekly reviews. The Nolte team was also present at WF boardroom meetings to support the product owner whenever necessary. 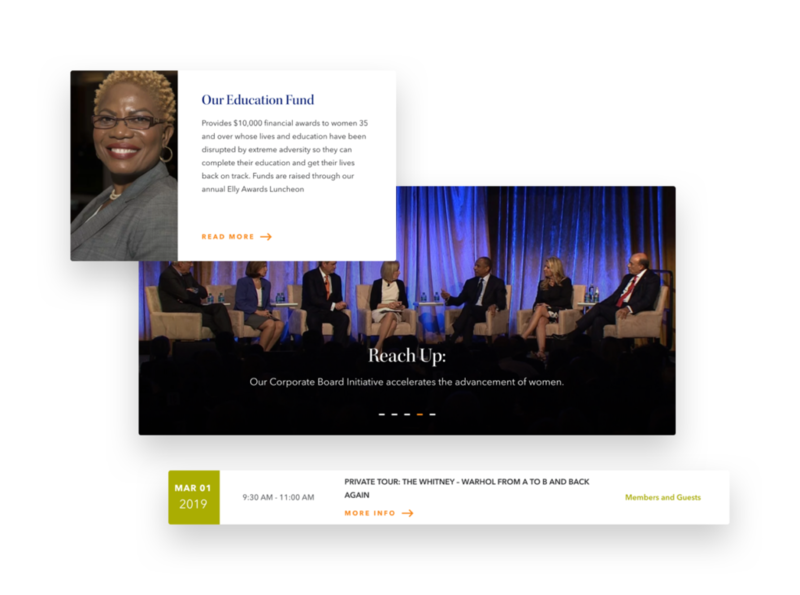 Nolte developed a WordPress powered product including WooCommerce integration to support the Women’s Forum’s online payment needs. The WF and Nolte teams worked in sync to ensure that the integrity of the brand was maintained, improve the user experience and optimize administrative workflows. To support the transition, the Nolte team assisted with the content migration, integration and testing of all payment gateways and facilitated serval training sessions, including onboarding and a documentation walkthrough. In addition, to complete this Women’s Forum ecosystem, we tied in their QuickBooks accounting software to decrease administrative time. The Women’s Forum membership experience has been improved, not only for existing members but to also be appealing to new members. The new website gives the WF administrative team full control of their content administration, not to mention the time savings the accounting teams now enjoy as payments have been automated based on transaction type. 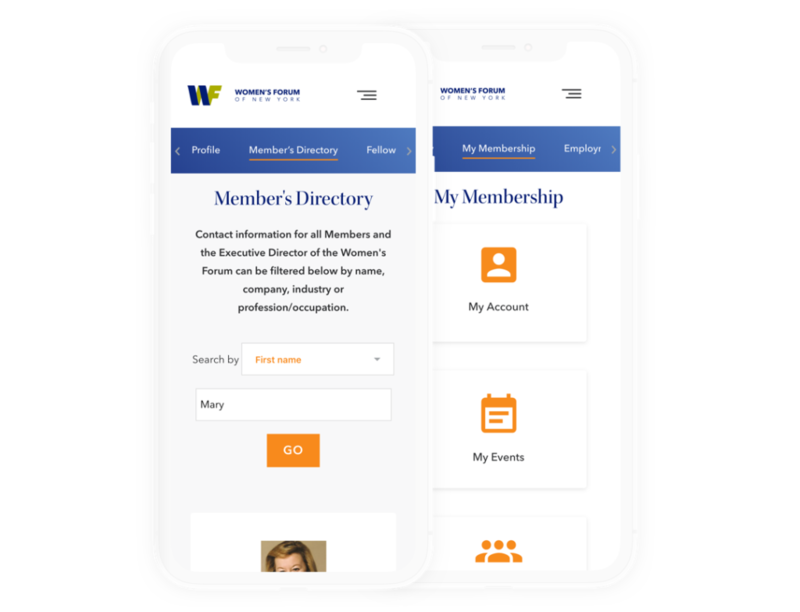 The WF members have access to the member’s only section of the site where they are able to view the profiles of all members, access information on upcoming events, register for newsletters and of course complete transactions such as payment of their dues and make donations to various causes.